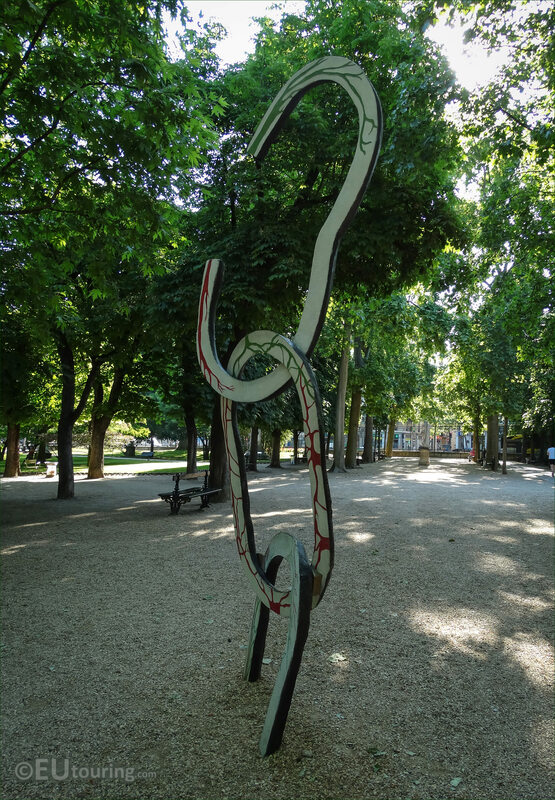 This time while we were within the Jardin du Luxembourg located in the 6th Arrondissement of Paris, instead of looking at old statues and monuments, we took these high definition photos of a modern sculpture situated in the garden, called Le cri, l'ecrit by Fabrice Hyber. 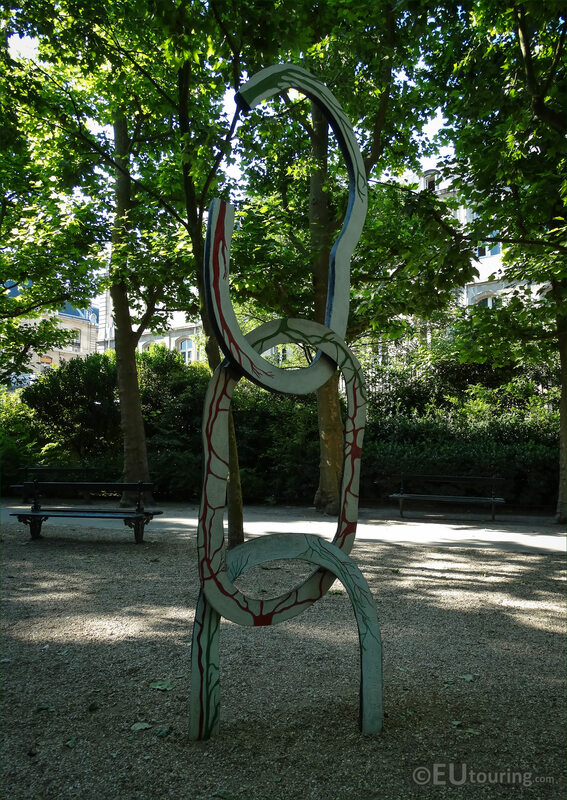 This first HD photo shows the full modern art sculpture called Le cri, l'ecrit, and this is situated within the south east section of the Luxembourg Gardens, which is on the right hand side if you are standing looking towards the Palais du Luxembourg, which is home to the French Senate. 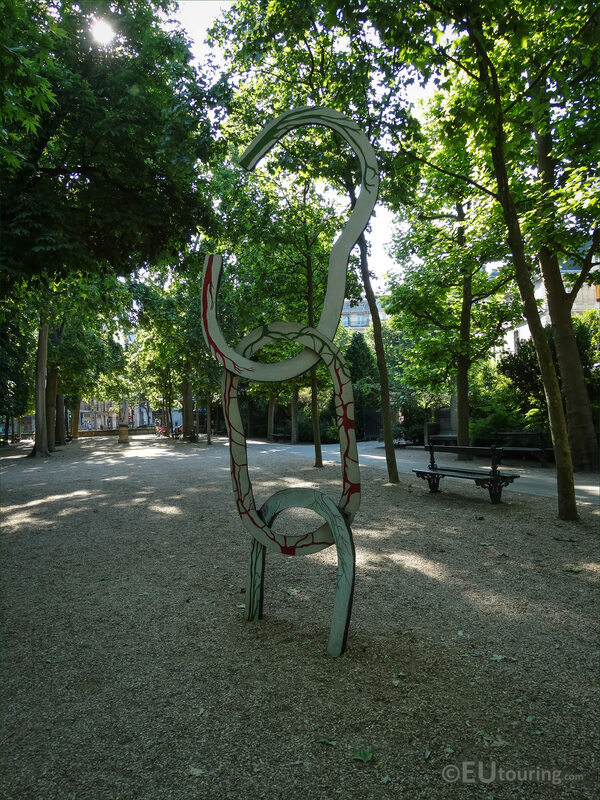 Now this sculpture is actually also classed as a monument with a specific meaning, and produced in bronze polychrome by Fabrice Hyber with three rings fused together making a symbolic reference, it stands at a total height of 3.7 metres and the work is the result of a public commission that was first announced on 10th May 2006. 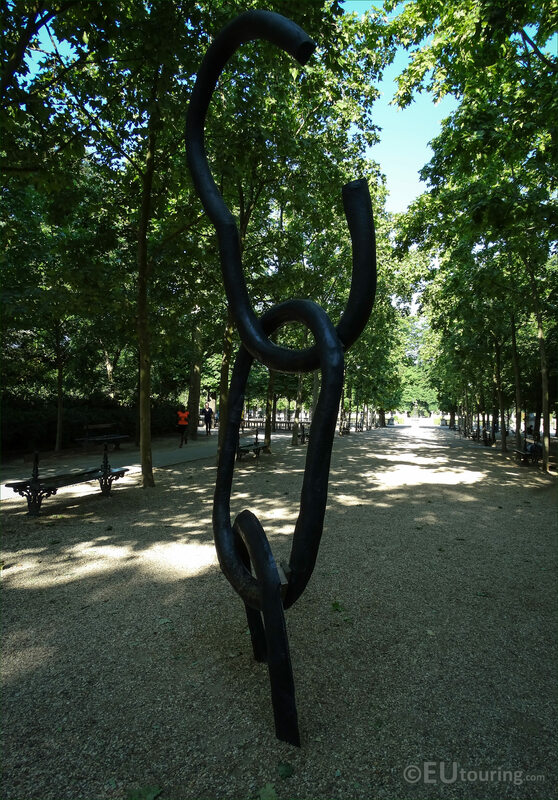 And in fact, this was announced by the President of the Republic during the first day of commemoration in France of the abolition of the slave trade and slavery, and it was France who were the first country to institute such a day, and the monumental sculpture was inaugurated on this specific day one year later, on 10th May 2007. 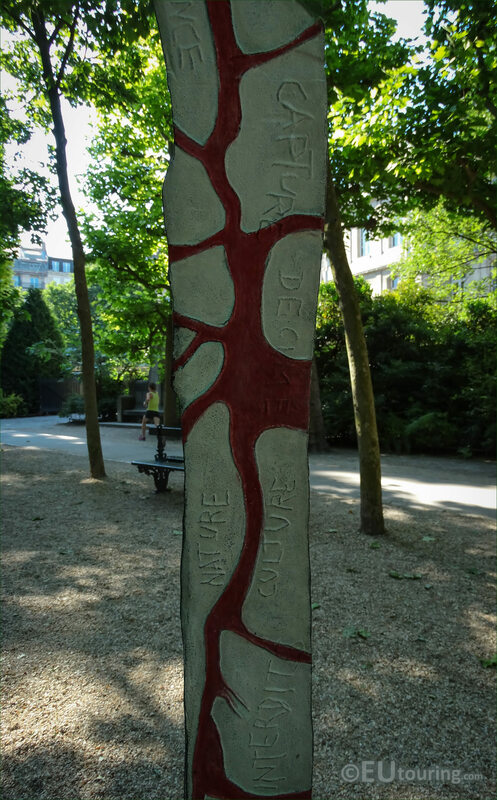 There was a large gathering at the inauguration of Le cri, l'écrit, which generally translates in English to The Cry, Written, with President of the French Republic, Jacques Chirac present, and according to the artist, the name itself is symbolic in the sense of the cry and fear of slavery and its abolition, yet also a warning for modern slavery. So, as you read earlier, this is the work of Fabrice Hyber, who was born in 1961 and has become a renowned French artist, working in a diverse amount of ways, and he was commissioned to produce this modern statue style sculpture to commemorate the abolition of slavery with the cry of pain and the joy relating to veins and their colours. 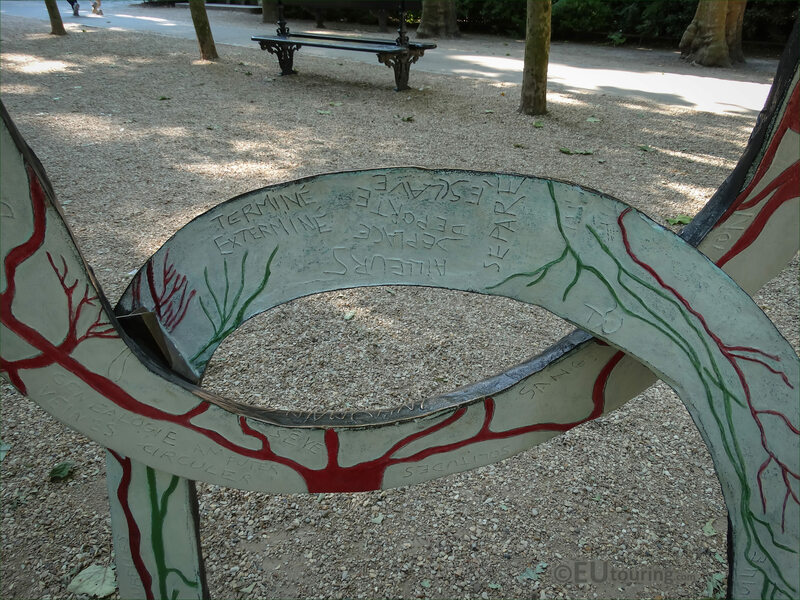 However, as you can see in this last high definition photograph, each of the bronze polychromed rings have a specific meaning, with the first, or top one being broken, relating to the abolishment of slavery, yet the second that is closed relates to the fear of modern day slavery or entrapment and the third going into the ground relates to the earth, or back to roots and the written word from the French Senate to abolish the slave trade.